All three departments are ranked in the top 100 globally in the QS World University Rankings 2017. Philosophy has world-leading philosophers in both continental and analytic philosophy, a broader range than most UK departments, and ranked 5th in the Complete University Guide 2017. The Law department has a strong international and comparative focus and is ranked in the top 100 in the 2017 Times Higher Education World University Rankings. 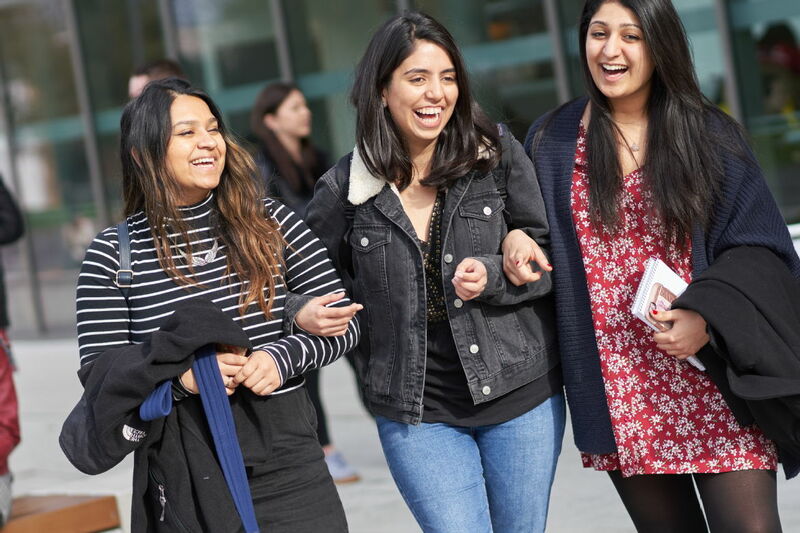 Politics and International Studies (PAIS) is one of the largest politics departments in the UK, ranked 3rd by The Times/Sunday Times Good University Guide 2017 and the Guardian University Guide 2018. It is considered one of the ‘Big Five’ UK-based politics departments by the Political Studies Association (PSA). Our departments all demonstrated their high quality research in the most recent Research Excellence Framework (REF 2014). Philosophy was rated 1st in the UK for research output with 90% of publications judged internationally excellent or world leading. Politics and International Studies ranked 1st for Research Environment, and in Law 86% of research was assessed as world leading or internationally excellent. The teaching of your degree will reflect this world class research being conducted in each department by experts who are passionate about their subjects. Our "bridge" model seeks to connect the synergies between the disciplines. Your first year core module is taught by members of staff from all three disciplines. It provides a context in which you can integrate your foundation in the three disciplines in both theory and practice before you begin to specialise. Topics will vary each year, but those taught within the module may include immigration, security and war, climate change, and punishment and prisons. You can also choose from a range of disciplinary and interdisciplinary modules in our departments. Some examples from 2016/17: States and Markets, The Politics of Religion, Crime and Punishment, Gender and Development, Philosophy in Education, Law and Policies of the European Union and Law, Globalisation and the Environment, Capitalism and its Alternatives, Philosophy in Education. Studying with staff and students from over 40 countries, you will be able to draw on the diverse backgrounds, cultures, and experiences of your colleagues as you debate and analyse crucial world issues. You’ll also be joining three internationally-focused departments. Politics and International Studies has an excellent global reputation for research and teaching in International Political Economy, Political Theory, and International Relations and Security. As part of its internationally excellent work in a wide range of specialisms, Philosophy also has a particular strength in Continental Philosophy, exemplified by great thinkers of Europe like Schopenhauer, Nietzsche, Sartre and Deleuze. Our Law School can provide you with a highly international experience, with tutors who have first-hand experience of teaching and practising law in over 15 non-UK jurisdictions and have diverse specialisms in International and European Law. 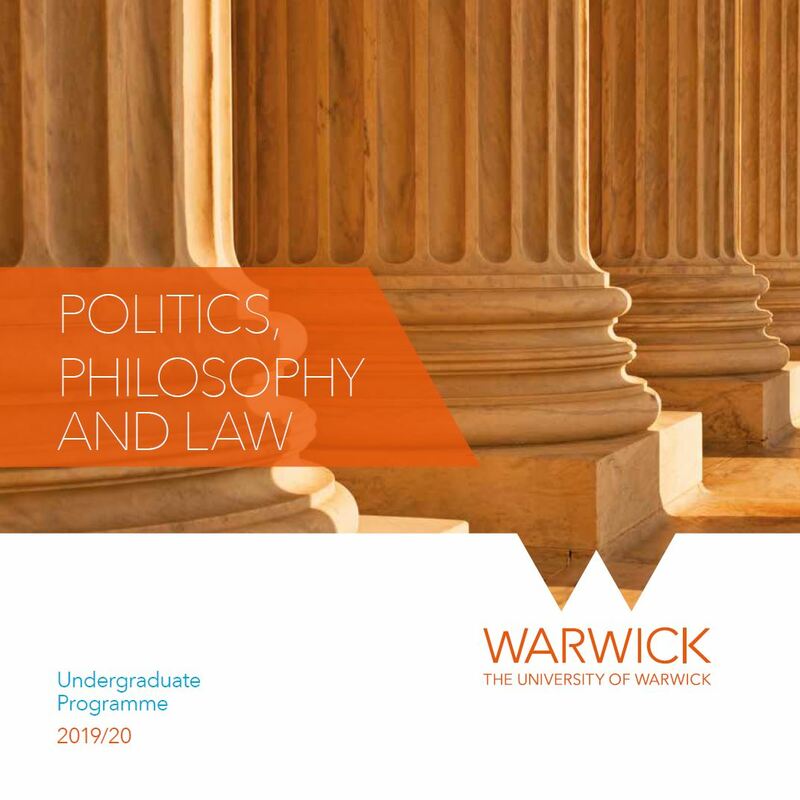 With a community of over 150 members of academic staff across the three PPL departments and students from all over the world, Warwick is a diverse and critically engaging place to study Politics, Philosophy and Law. Beyond the classroom, you can access a wealth of activities including societies in each of the three disciplines and related topics like international development and human rights. We also offer subject-related talks, debates, conferences and film screenings through our departments. There are also opportunities to expand your experience through study abroad or work placements.